Lies, betrayal, and black gold seep through this epic saga of separated fraternal twins who are reunited at the dawn of the oil boom in early 1900s Texas. Nathan Holloway and his sister, Samantha Gordon, are living on separate cattle ranches after their narcissistic mother, Millicent, gave Samantha away at birth. The sudden appearance of their birth father, oil tycoon Trevor Waverling, just as they turn 20 brings them both to the same drilling site with an opportunity that will more likely reopen old wounds than uncover riches. It’s hard to feel sympathy for any of the parents involved—adoptive father Neal is childishly jealous of his daughter’s curiosity about her birth parents; Millicent’s husband, Leon, won’t consider the possibility that Trevor raped her; Millicent resents Nathan for being born; and Trevor’s mother is convinced he killed his own brother for control of the family's drilling equipment business. The romances are also thorny—Millicent and Leon are chillingly mismatched, and even Samantha disapproves of the way her love interest, Sloan Singleton, treats his supposedly progressive older sisters like children. The secrets that the characters keep from each other, whether out of kindness or selfishness, often seem unjustified and are glossed over too easily when they're revealed. But Meacham’s deep probing into the lives of early-20th-century cattle ranchers–turned–oil barons—from what they packed for lunch to the cameras they used—is breathtakingly rendered, bringing to life the hopeful and colorful history of the American Southwest. 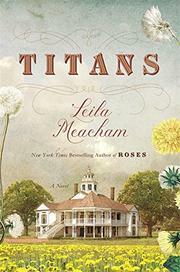 Emotions bubble up to the surface, but Meacham doesn't quite drill to the source, making an impressive dig into turn-of-the-century Texas come up empty.